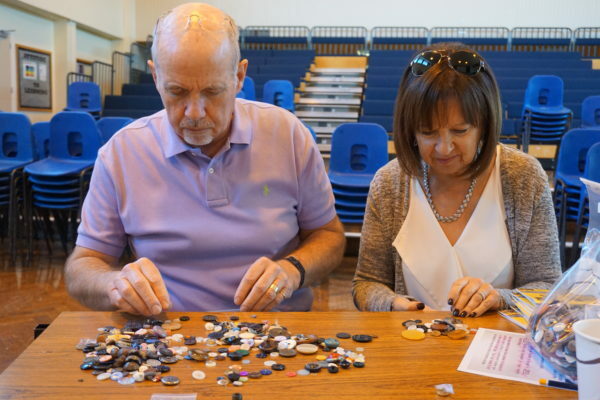 Of the millions of buttons the Lakes School received during the last year, 12000 will be placed in a special display and exhibition – ‘The Holocaust Button’ – to coincide with Holocaust Memorial Day 2019. (12,000 represent both a very small fraction of those who died in the Holocaust and of the number of buttons received by the school). 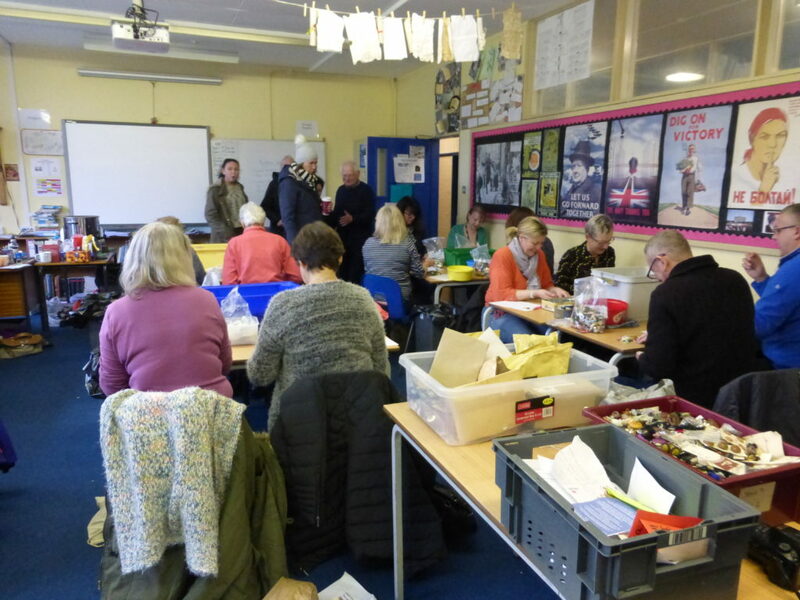 Included will be a few of the comments from some of the remarkable letters that accompanied the buttons as they arrived from around the world and will be specially printed to mount on the walls. These will shine a light on the incredible emotional context and reasons why the buttons were sent; many of the letters and buttons came from Survivors, Kindertransport children, and their families, and include those from relatives of soldiers who landed on D Day and who had liberated Belsen. 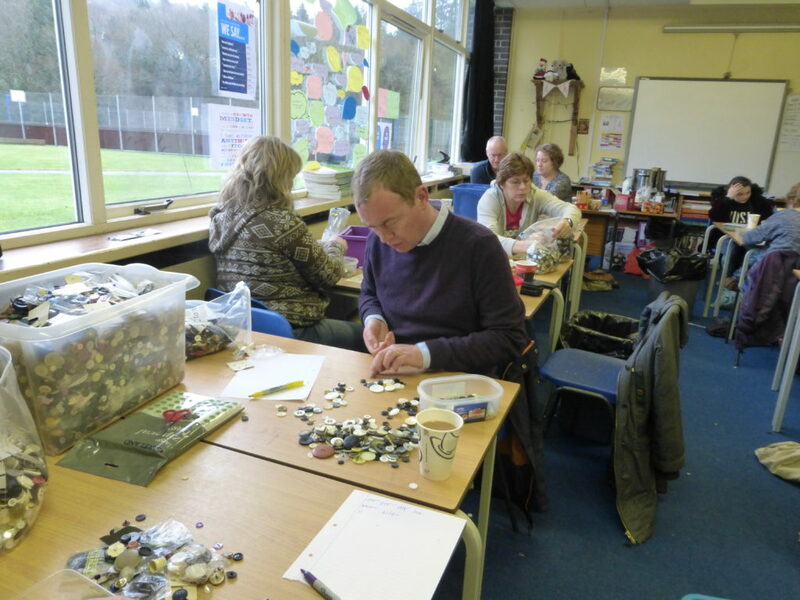 The buttons on display here are just a very small sample of an estimated total of around five million buttons that have been collected from around the world by The Lakes School at Troutbeck Bridge near Windermere. Students at the school have spent the last year working on a Holocaust Memorial Project. The school is built on the site of the former Calgarth Estate, where the children arrived in 1945. 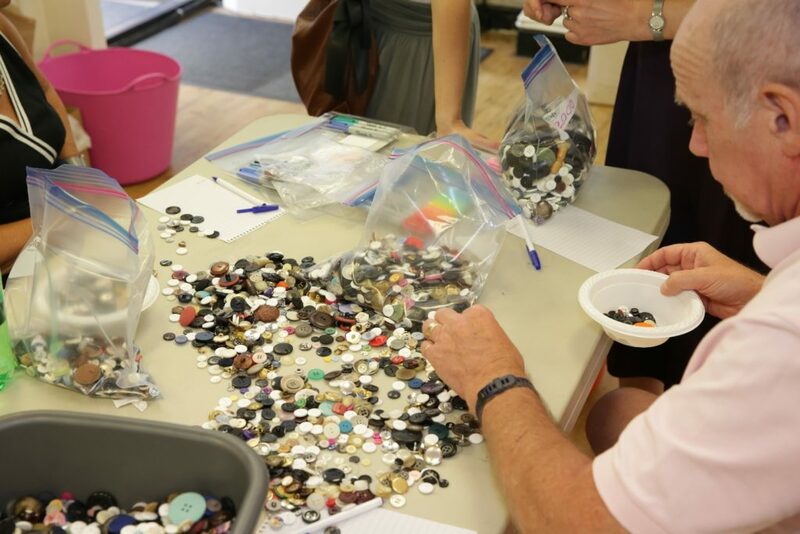 The button collection originated as an idea by Bliss, a student at the school, who had attended a Holocaust Survivor talk by Arek Hersh when he visited the school in 2017. Arek was one of the Jewish children who came to the Lake District in 1945 directly from the concentration camps, and the school stands on the actual site of Calgarth Estate, the location where the hostels stood that were home to the Jewish children on their arrival in Britain. 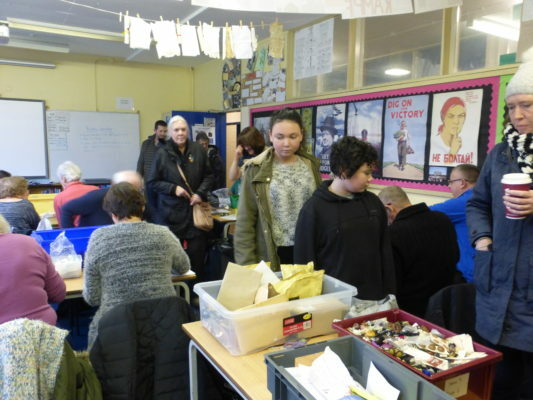 Bliss has described that she struggled to visualise the huge numbers who were murdered in the Holocaust and was encouraged by her teacher, Laura Allen, to come up with an idea as to how this number could be represented, and the B’s Buttons initiative was born. Laura has worked with great enthusiasm and effort to ensure the success of the project. The original idea of collecting buttons to represent the six million Jews murdered in the Holocaust was refined to an ambition to collect 1.4 million buttons, one button for each child murdered and “who did not make it to Windermere with the 300 child survivors who did manage to come”. This was the same group that Arek arrived with in 1945. Along with much support from Abigail Mann, who established collecting points in London and beyond, the buttons began arriving from around the world and an early expectation by the organisers that a hundred thousand, or so, buttons would be a success, soon began to be challenged when the call-out for buttons went “viral” on social media. 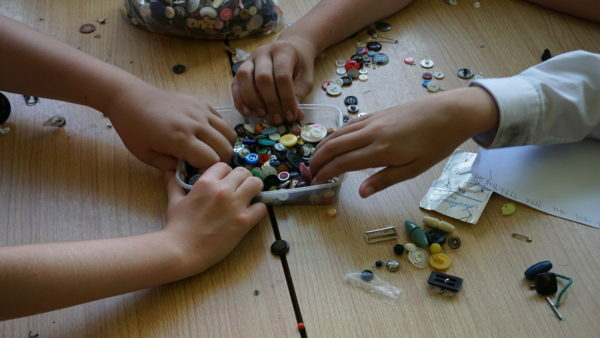 Abigail also arranged for some of the many buttons to be collected and stored until counted. 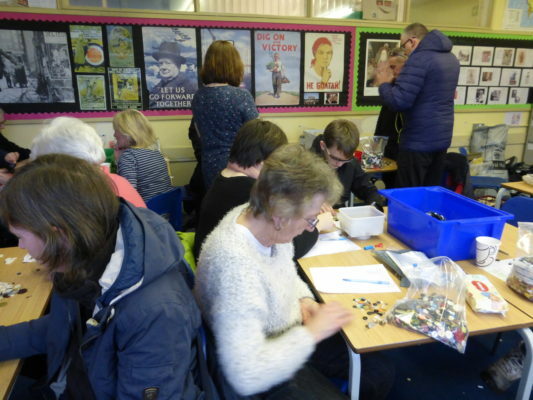 With many thanks to Lakeland who collected some of the buttons and helping with storage. 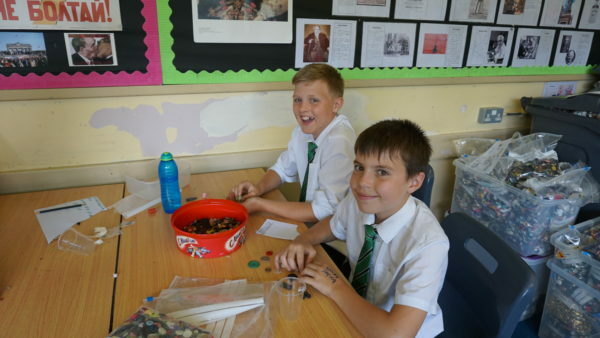 The Lake District Holocaust Project played a part in the initiative and we were pleased to see the impact that the project had on the children at the school. 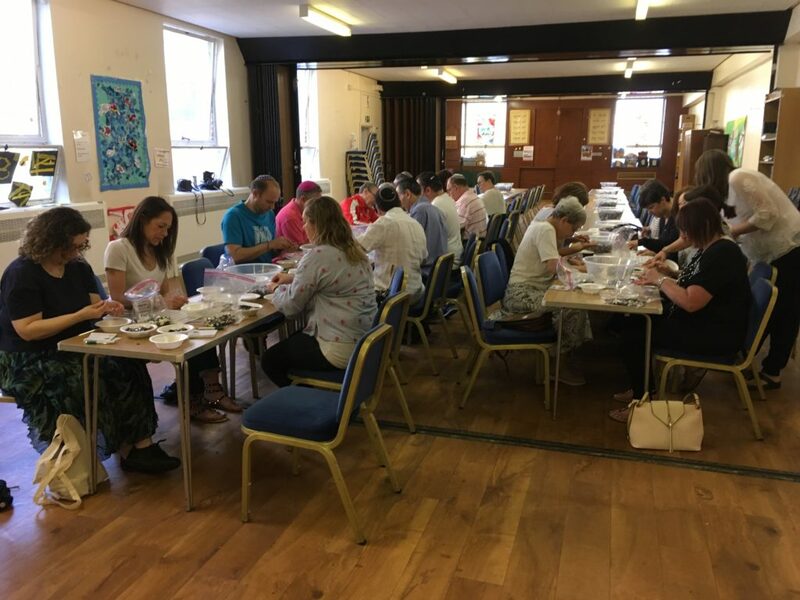 The scale of the button collection, the moving letters that arrived with many of the packages, the sheer variety of sizes and shapes of buttons, all contributed to bringing home to the children the tragedy of the Holocaust. 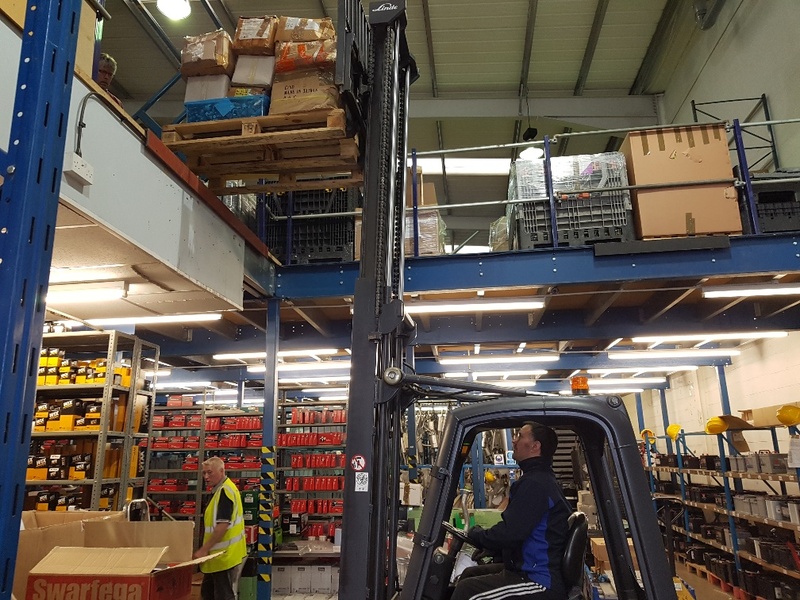 We are delighted to announce that not only has this number been collected and counted but has far exceeded the initial amount. 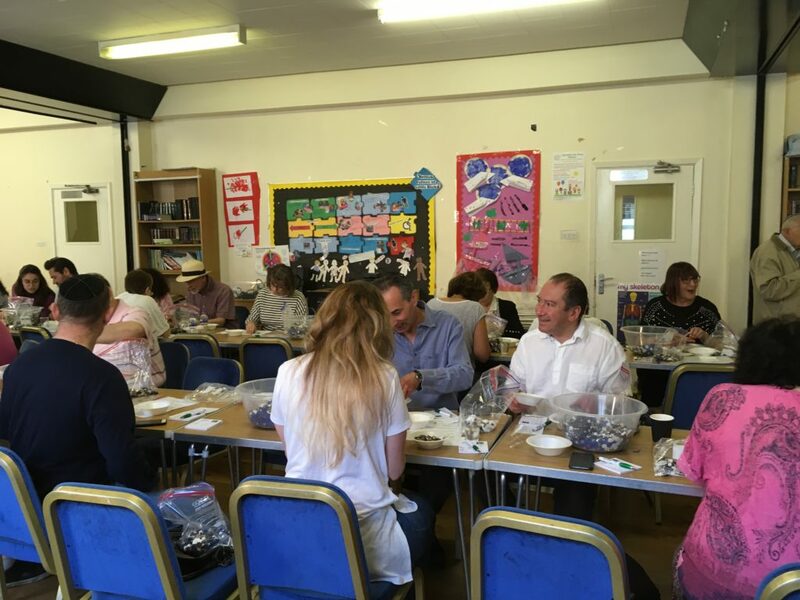 The response has been phenomenal, with buttons sent from all corners of the world, as too the very many helpers who have counted the buttons. Details will be announced in the coming months as to the final number and designs for a memorial. 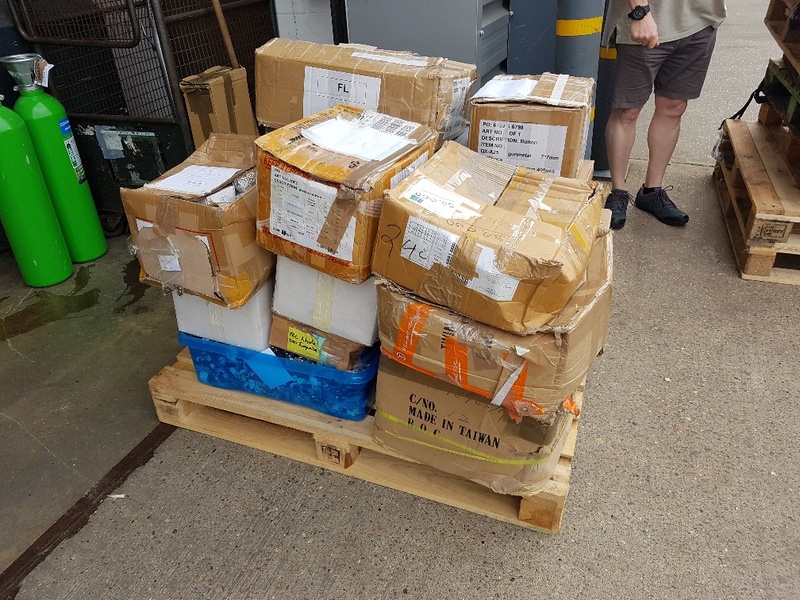 We would like to extend our very many thanks to all who donated, sent and counted the buttons. 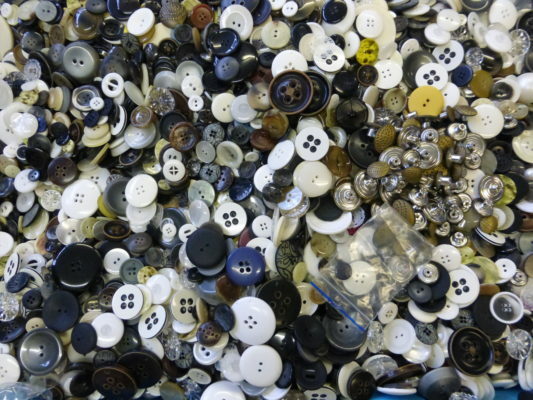 The buttons will now become part of a public memorial to be constructed in the area.